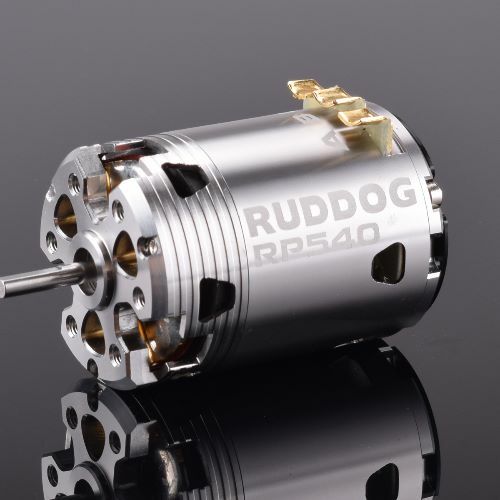 The RUDDOG RP540 sensored competition brushless motor offers the latest technologies in terms development and production of competition motors. Weighing in at a lightweight 170g the motor is made using highest grade materials including Japan-made steel stator plates and a 99.9% high-temperature pure copper wire. Large venting openings improve cooling and provide constant performance over the entire runtime even under the hottest of conditions. On top of this the silver color can give you the advantage not only on, but also off the track.